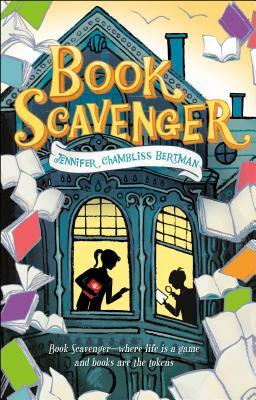 The paperback edition of Book Scavenger by Jennifer Chambliss Bertman features a gorgeous, brightened cover and an interview with the author. This title has Common Core connections. Jennifer Chambliss Bertman was born and raised in the San Francisco Bay Area. She holds an MFA in creative writing and has worked for literary agencies, magazines, educational publishers, and as a freelance copyeditor and proofreader. Book Scavenger is her debut novel.